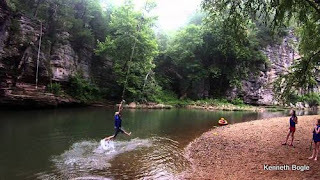 Looking for a great place to dive into cool, refreshing clear water in Arkansas? 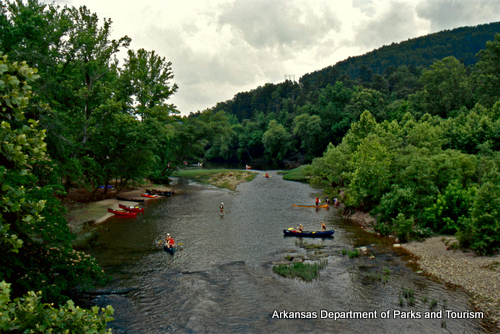 With more than 600,000 acres of lakes and over 9700 miles of rivers and streams, there are so many places to enjoy an afternoon of floating, fishing and wading in The Natural State. Check out this list of 15 incredible places to swim in The Natural State. 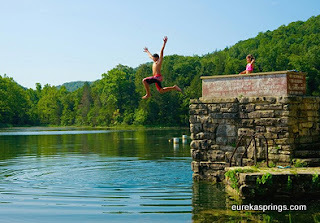 These gorgeous spots to swim are close enough to access from major highways all over the state. 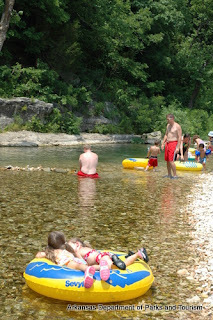 Click on the name of each swimming hole and connect to a Google map to guide you there. Lake Sylvia. Central Arkansas swimming hole lovers have long tagged this treasure as a woods-surrounded paradise. 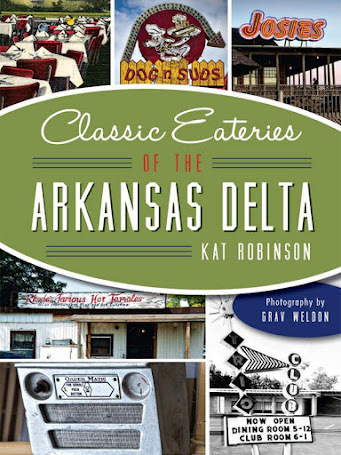 Located 38 miles from Little Rock, this U.S. Forest Service operated site was built in the 1930s by the CCC in the northernmost section of the Ouachita National Forest. It's $1 per person or $3 per car if you want to swim. Natural Dam. This rock formation along Mountain Fork Creek in Crawford County is a slab of stone that forms am eight foot high, 187-foot long barrier, behind which a lovely pool is held. When there’s rain, waterfalls form along the length of the dam. There are no picnic tables or restrooms, but there is a small parking area, so put on your suits before you go. Peeler Bend. 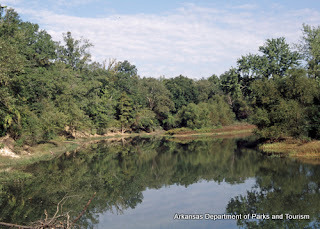 Access to this quiet space on the Alum Fork of the Saline River is through the back side of Benton, The clear waters here in this stone and slate bottom pool aren't deep in summer, but a wade down to the northeast will garner you diving depths. Buffalo National River at Pruitt. Underneath Scenic Highway Seven, this cove along the Buffalo National River offers relief from the sun in a medium depth pool. Watch for kayakers. Old Highway 25 at Greers Ferry Lake. 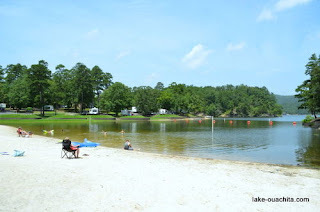 While some prefer nearby Sandy Beach with its crescent of white hot sand, the best combination of shade and sunlight plus access to restrooms, parking and picnic area can be found at the Old Highway 25 Campground on the northwest side of the lake near Tumbling Shoals and the dam. Long Pool. River Valley residents love this bend on Big Piney Creek near Dover, with its gorgeous green-tinted waters. There's plenty of space to spread out, and an RV camp and restrooms nearby. Little Grand Canyon. Also known as Chidester Canyon, this stunning rock formation on the north side of White Oak Lake is tucked into the woods on the lake’s northwest shore. 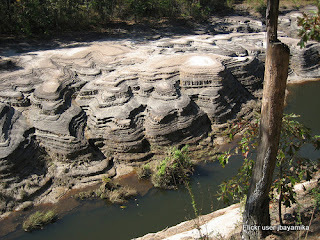 Cross the dyke, park at the dead end and take a trail down to this natural wonder. 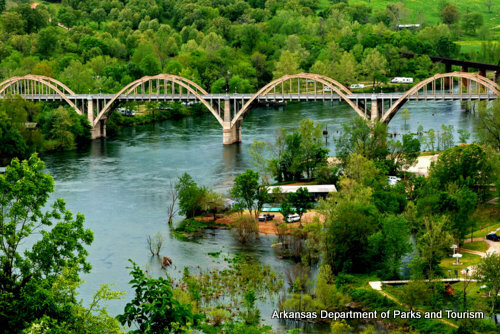 The pine-studded crest of the canyon provides ample shade during most of the day at this southwest Arkansas oasis. Crowley's Ridge State Park. 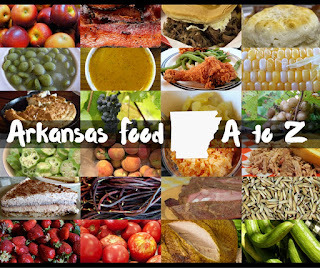 Not far from Paragould, you'll find a three and a half acre swimming lake along the tallest formation in the Arkansas Delta. Clean, well-kept swimming hole at the park. Crystal Springs. 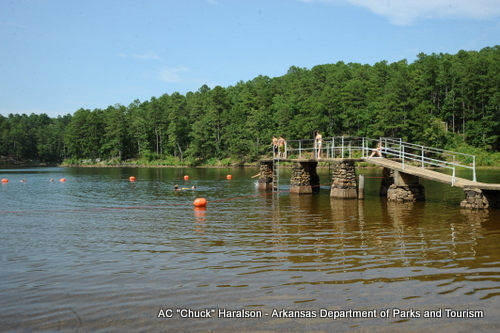 This Lake Ouachita access off Highway 270 has not one but two beaches, which allows even more access to this gorgeous, clear-bottom lake. Bear Creek Lake. 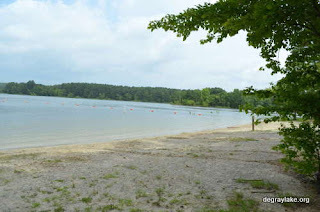 About seven miles southeast of Marianna, Mississippi River State Park offers a beautiful swimming beach. There are picnic tables, camping areas and vault toilets nearby, along with the state park visitors center. Lake Leatherwood. Just outside of Eureka Springs, this park includes 1600 acre lake is held back by a WPA administration dam, one of the largest hand-cut limestone dams in the country. 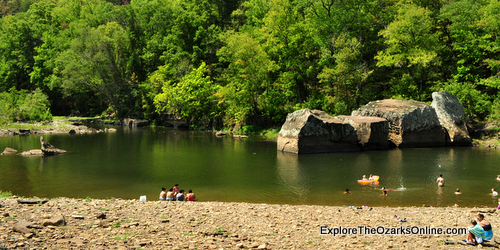 Surrounded by the Ozarks and close to this great tourist town, this swimming hole gets a goodly amount of traffic. The Narrows on the Caddo River. This rock-lined riverbed is cool, clear and deep throughout summer’s hottest months. Slow, meandering currents and a great deal of distance between this blue hole and the nearest metropolis make this an excellent summer escape. Caddo Drive Campground. This park's access to DeGray Lake Resort State Park is under a pine tree canopy, and the water is always fine. Current River at Biggers. 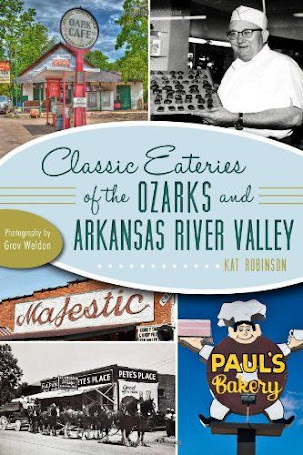 Access from US Highway 67 allows travelers to soak their toes in the Current River up in Randolph County, at this local favorite. Cotter Springs. This hole on the White River just below the old US 62 Rainbow Bridge offers swimming access at one of the river's clearest, most tranquil points below Bull Shoals Lake. There's also a playground and nearby amenities at Big Springs Park. 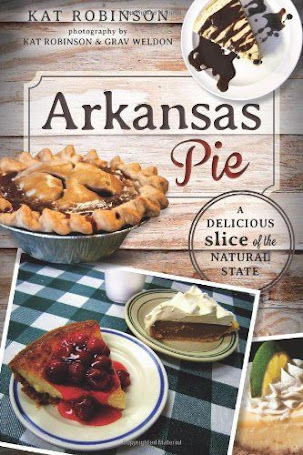 Looking for great Arkansas beaches? 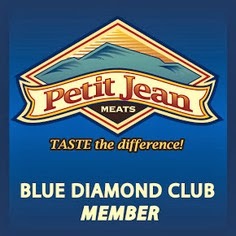 Head to this site. If you want to be gum you must respect yourself.